Hi Everyone!! 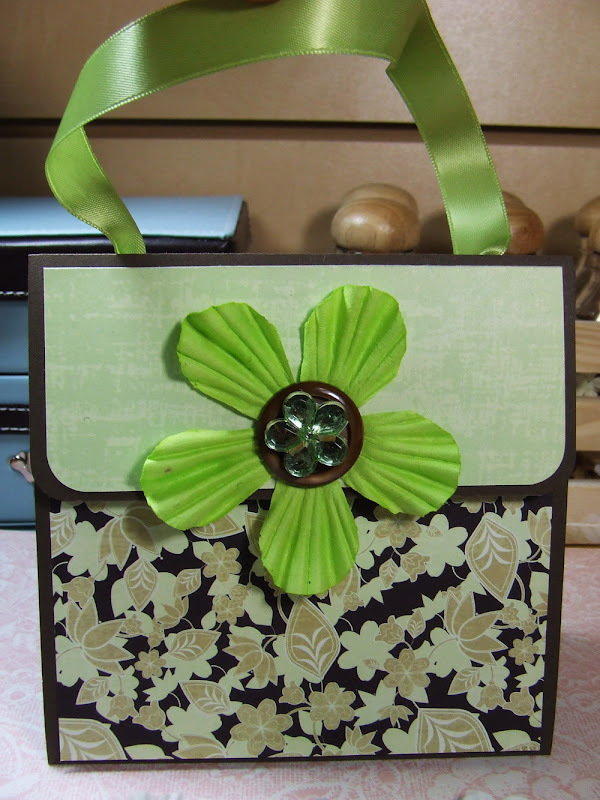 Here is a CD Envelope 5x5" Pocket Purse Album that I created yesterday. it was such a fun project. . .rarely do I want to make more than one of something but I think I'm going to make more of these puppies. Did you know that you can create your own album designs by just doing a little bit of math? I mean, the concept behind most mini album is the same but you don't need instructions to create your own albums. 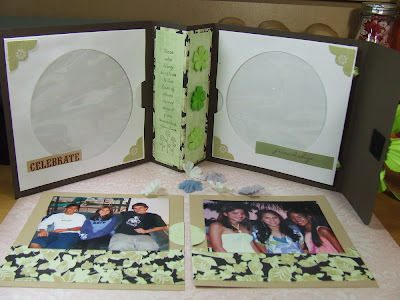 When I create my own mini albums. . .I take in the measurement of the album size and the size of the card stock. I then do a bit of addition by measuring each part of the album such as the "score measurement", the album cover size, and add each part. For example, if you're going to create a box, remember that a box usually have 4 sides and each sides have to measure the same. 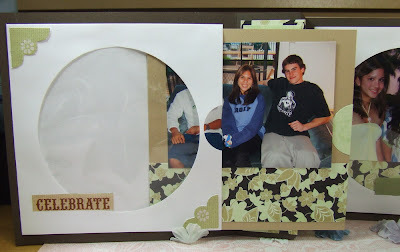 You then measure the size of the box bottom or top. . .add the total up and if it fits the size of your card stock, you can easily make a box without a template. The same goes with a mini album. It's basically the same concept. 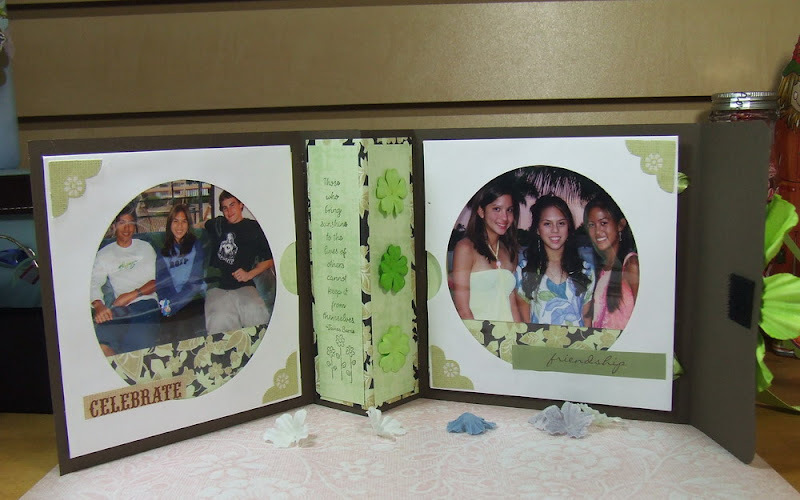 If your card stock is too small, you just need to adhere additional cardstock so that you can create an album or box that fits your needs. Anyway. . .enough of my blabbering. As you can see the album looks like a purse. I didn't decorate it too heavily because I just wanted to finish it up. I think the embellished Prima flower and the designer paper were sufficient. 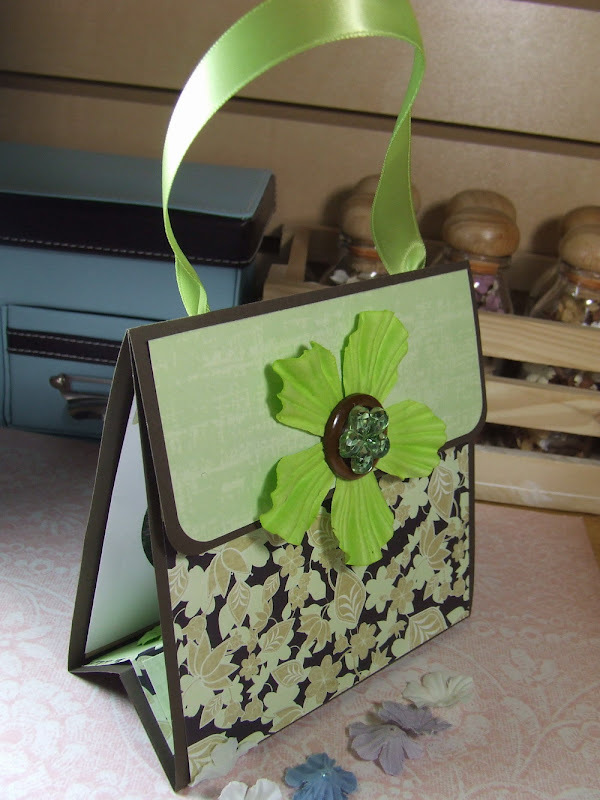 Here is the inside of the card using CD Envelopes for the pockets. The pictures of are of my kids with their cousins. I have so many pictures stored on my computer, it's not even funny. I think 80% of my files on my computer are pictures. I sometimes worry that my computer will crash one day and all my digital photos will be lost forever. I know I should back them up CDs and I plan to do that one day soon. Here is the page insert pulled out of the pocket. 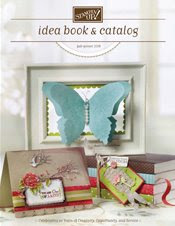 I made another similar album using Stampin Up products on my Stampin Inspirations Club Site if you care to check it out. This is the album with the inserts removed out of their pockets. I plan to journal the pages when I have more time to do it. Anyway. . .tonight is CSI night so I just wanted to get a few projects posted on my blog tonight. I've been such a slacker lately with my blog posting and blurfing. I'm sorry I haven't stopped by and said hello for a while but I'll be back to my normal routine soon. Maria! This mini-album purse is amazing! Love it so much! The idea is brilliant! The DP is vey pretty! Love how you decorated the inside panels! Wow! You are so inspirational!!! Thank you for sharing! What a lovely idea! I really love the way it turn out! Bravo! What a GREAT idea. I won't be tossing the mailers so quickly anymore. Too cute! Your CD purse is super cute Maria! You are so talented and your projects are very beautiful! What a clever idea. It looks great! Thanks for sharing. Awesome CD card Maria! It came out great... love the colors and the use of the CD holder. TFS!